What does Joy mean to you? For myself, it’s knowing positivity and happiness coexist. This doesn’t mean that every day is peaches and cream, but there is always something to be hopeful for. Beware, there are people who will through their expectations for our lives. People will do and say things that make us frustrated because we might not meet “the guidelines”. M̶o̶s̶t̶ Some of the time it’s our own family and friends that do this. I truly do not believe it’s on purpose or that they even know it’s happening but it does. When it does, insecurities build up, we may question our faith, our joy can slip away…. DON’T LET IT! Stay strong to The Most High’s plans, stay true to your goals and ambitions, stay Strong during conversations. You don’t have to show aggression but be assertive with Your position. We got this friend, Joy will remain with us, no matter what others Expect. In life we can find ourselves having expectations from people, jobs, and even ourselves. 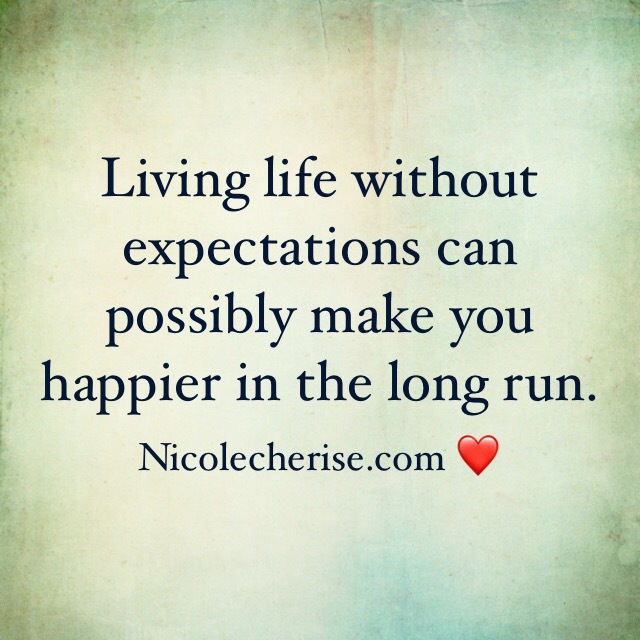 Sometimes, these expectations are Not met and we can become depressed about them. For some, they seek spiritual guidance and are able to believe that good will happen or will eventually come. While I know others, this is not an easy task to do. For myself, with certain issues in life, I would get sad and angry and felt that life was a disaster. Stressed about finances, school, work, friendships but I’m now at the point where I feel enough is enough. We can’t cry over spilled milk. If I know in my heart that I’ve tried my best and things still didn’t work out, then it just wasn’t meant to happen. It doesn’t mean that it won’t ever happen but just not in the timing that I want. Not having expectations does NOT mean you are a pessimist but it can protect your heart from disappointment. Things will work out, more than likely right on time.